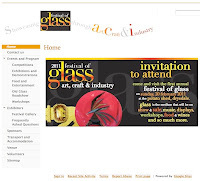 drycliftdays: Festival of Glass web site goes 'live'! 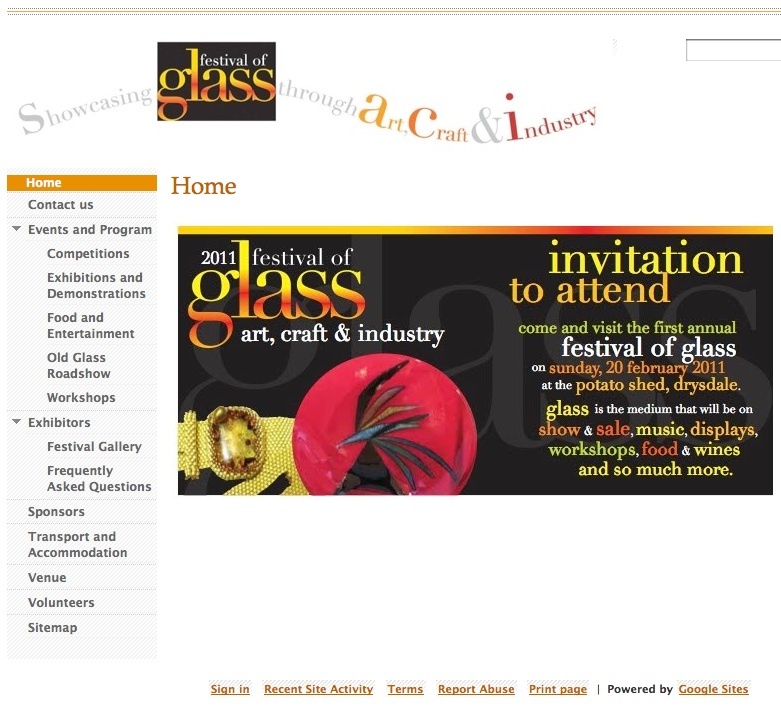 Festival of Glass web site goes 'live'! The web site of the inaugural annual Festival of Glass has just gone 'live', to cheers and merry-making across the wonderful world of glass! The Festival web site complements the blog, because it draws together all the information that exhibitors and visitors need. It also includes a rolling gallery of some of the exhibits from the Festival, giving a taste of the extraordinary diversity - and the amazing skills - that will be on display on the day. It's worth visiting the gallery more than once, because as new exhibitors sign-up to the Festival, samples of their work will be added to the gallery. Now you see a proposal ...now you don't!